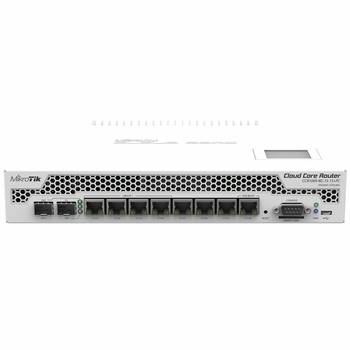 MikroTik's popular 9-core Cloud Core Router is now available in a new passive cooling enclosure. This CCR1009 unit is equipped with two heat-pipes and a specially designed heat-sink, so it's completely silent. 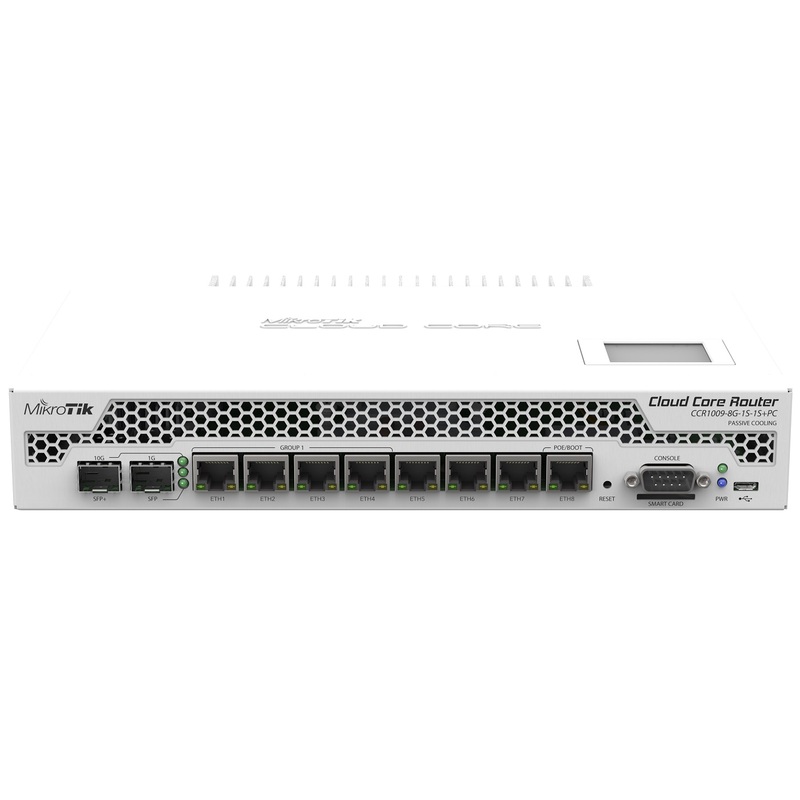 The unit is powered by an external 24v 2.5A AC/DC adapter and supports power redundancy if you also power it from the PoE input port. The device comes with a desktop enclosure, but special rackmount brackets are also included, so it can be used either on desk or in rack.